Dream arrived at the Gentle Barn on January 15. She came to Gentle Barn from a woman who could no longer care for her. The Gentle Barn Tennessee’s lease is up in Knoxville, forcing the group to relocate. The nonprofit recently obtained its initial gofundme target of $600,000 to purchase the property in Murfreesboro. The new name will be The Gentle Barn Nashville because of the property’s proximity to Music City. The first Gentle Barn was started in Santa Clarita, California, by Ellie Laks and husband Jay Weiner 19 years ago. The animal rescue was a passion project for Laks, who had wanted to help unfortunate animals from the time she was a young girl. The two later opened a second Gentle Barn in St. Louis, Missouri. The Nashville location is the third. “The campaign is steadily climbing towards our goal,” says Laks, who says she is confident the nonprofit will be able to buy the land. The property is currently in escrow. In 2011, talk show host Ellen DeGeneres famously nudged Justin Bieber to donate a lock of his hair – it sold for $40,000 – as a donation to The Gentle Barn in California. The animal rescue is in operation in Knoxville because of a cow named Dudley. Laks told her husband that she wanted to rescue a cow. In 2015, the couple found Dudley, a calf who’d lost a foot and who was living in a frozen pasture and on his way to slaughter. Weiner also found that one of the most renowned bovine surgeons happened to work at the University of Tennessee’s Large Animal Hospital. He went on to find several companies that made prostheses for cows. Dudley’s story went on to make international news when videos of Dudley’s journey went viral. Sadly, Dudley died unexpectedly in June of 2017 after surgery to repair a wound caused a stomach ulcer to rupture. View of the new Rutherford County location for The Gentle Barn. Dudley’s legacy lives on in a second chance for another 26 animals who had been homeless, including more cows, and a number of horses, sheep, goats, turkeys, chickens and pigs. 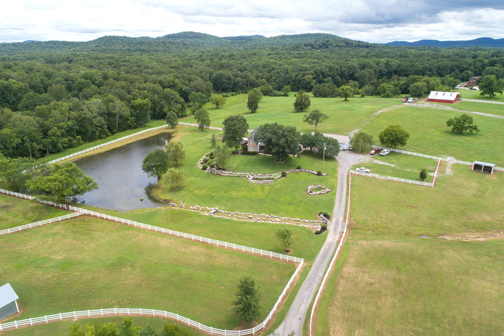 “The great news about moving from a 12-acre farm to a 40-acre farm is it will give us the ability to take in so many more animals that have nowhere else to go,” says Kiera Harveston, manager of The Gentle Barn Tennessee who will be overseeing the move and the new facility. Harveston says ownership will allow the agency to retrofit the property and structures to personalize the care of the animals who live there now and those who will be added later. All Gentle Barns, Laks notes, have mission statements that address not only tolerance and inclusion but also gentleness with all creatures. She says the program helps children be kinder to each other in life, on the playground and in the classroom. “Yes, we all come in different shapes and sizes,” Laks points out. “So, someone smaller than us or somebody that flies or someone that shows up as a bumblebee, they have the same feelings in their bodies that we do, and so it is important that we treat them gently. 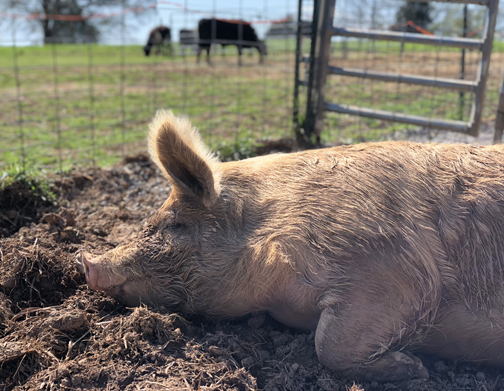 The new facility will allow The Gentle Barn Nashville to work with children, but inner-city children, particularly those “at risk,” may be able to relate well to her animals and their stories, Laks says. The Gentle Barn Nashville will be hosting a number of school groups with not only the animals as therapy but also music of local talent that could be a boon to the rescue’s mission. “Nashville being the music capital of the world, we want to incorporate music in what we do so we are going to have performers come out and play music for the animals,” Laks says. Laks adds the nonprofit’s literacy program gives children who may be struggling or feel intimidated reading in front of the class a chance to read in front of a less judgmental audience. 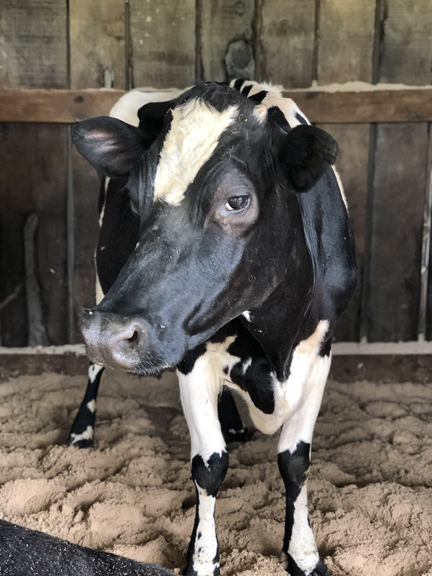 Maybelle is a retired dairy cow who ended up at The Gentle Barn instead of a slaughterhouse. Her first days at the facility were marked by pacing and crying, so the staff checked with her owners to see if she had a calf. Now reunited, the two are inseparable. See a video of Maybelle’s story. The criteria for getting a spot at The Gentle Barn is fairly concise, Laks explains. The rescue takes animals that no one else can or will take, those who are too old, too lame or too unsocialized to be homed by anyone else, and that includes senior dogs and feral cats. “So, basically when somebody approaches us and says, ‘Oh, I want to give you my horse or my goat,’ we will give them referrals, and we only take the ones who are literally not adoptable,” she says. Laks adds her Knoxville volunteers will try and continue to be involved as caregivers when they can, but the commute will make it difficult. They are asking people in the Middle Tennessee community to pitch in and volunteer. “We will need to get the community in Nashville to know that we are there, and we invite them to come and support us and volunteer; that is very important,” Laks points out. Harveston concurs that to be sustainable the organization will need people locally to help set up and break down on Sundays as well as during the week for chores around the farm such as mucking stalls, filling water buckers and helping socialize the animals. She says that working directly with the animals may take some commitment as the ratio of caregiver to animal is 1:1. Laks adds she will continue her work as long as there is a need for Gentle Barns. The nonprofit is not stopping at the Nashville site if a need arises. “We had always wanted to go national, to have a national presence,” she explains. Harveston says she will make the move along with the animals who will be hauled to their new home in trailers and in the cars of volunteers. Her story with The Gentle Barn started with some dark days for her, personally, and a piglet. Plans are to purchase the property, transport the animals and get them situated in July and then host a grand opening Aug. 26. That day will mark the 19th year of the first Gentle Barn and the one-year anniversary of Dudley’s death. Management and volunteers will perform a memorial service to lay Dudley’s ashes to rest at the new home. The gofundme campaign is still ongoing despite meeting its target, visit: https://www.gofundme.com/gbnashville. For further information on all the facilities and The Gentle Barn’s mission, go to www.gentlebarn.org.